This section allows the user to view the GCPs/MTPs/Check Points, values and status. Next to the section title GCP/MTP Table, the coordinate system of the GCPs is displayed. 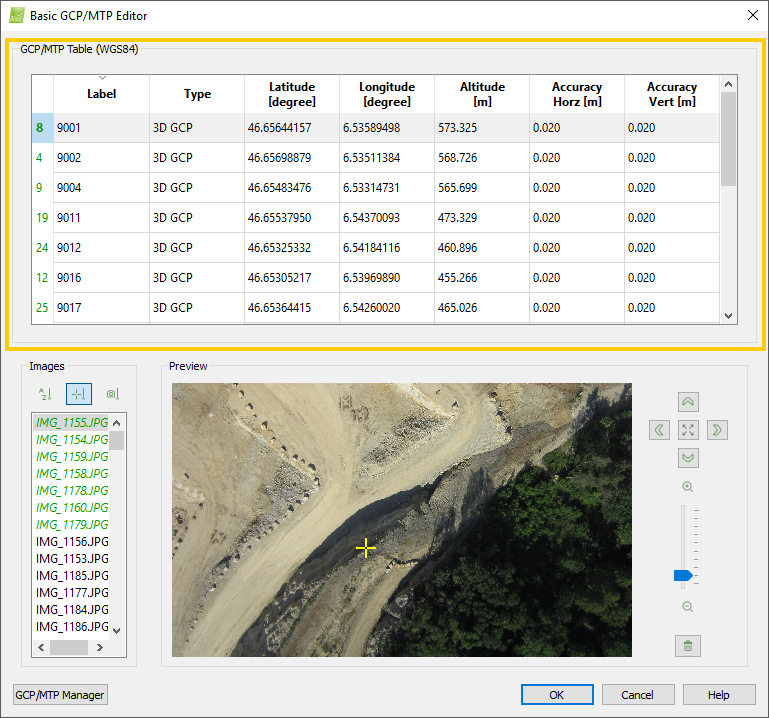 This section contains a Ground Control Points Table which displays all the GCPs of the projects together with their properties.